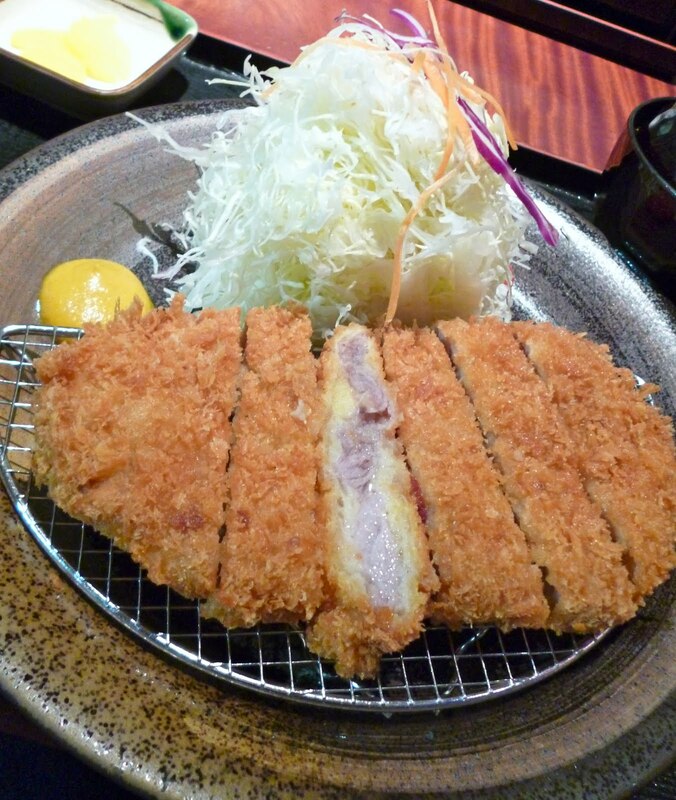 I happen to love deep fried pork, especially Japanese tonkatsu. So it was a no brainer for me to try out Tonkichi in Orchard Central, whose menu reads "Tonkichi is tonkatsu, Tonkatsu is Tonkichi." I ordered the Kurobuta Kata Rosu Set (SGD 32.90). Kurobuta is black pork which is known for its tender and marbled meat. The dish did not disappoint! The black pork was really soft and juicy without being too oily. It was paired perfectly with tonkatsu sauce with ground sesame seeds. The meal came with unlimited cabbage, rice, and miso soup similar to other tonkatsu places. Perhaps my only qualm (albeit a minor one) was that the salad dressing for the cabbage was not as good as that of Saboten, my other favorite tonkatsu place in Singapore. My husband, being the more health conscious of us two, ordered the Sashimi Zaru Soba Set (SGD 28.90). I apologize as my photo below does not really do justice to the dish. My husband could not stop raving about how fresh the sashimi was. There were lots of "ooohhss" and "aahhhs" as he tasted each sashimi -- from the scallop to the ika (squid) to the maguro (tuna). The soba as well was freshly made and was equally a winner. I will definitely go back to Tonkichi in the near future, and maybe this time I'll try out their chirashi if their sashimi is really as fresh and yummy as my husband says it is. * They also have branches at Ngee Ann City, Suntec City, Isetann Scotts and Tampines Mall.